Kahlil Joseph's documentary on the making of the 2013 album comes September 23rd. 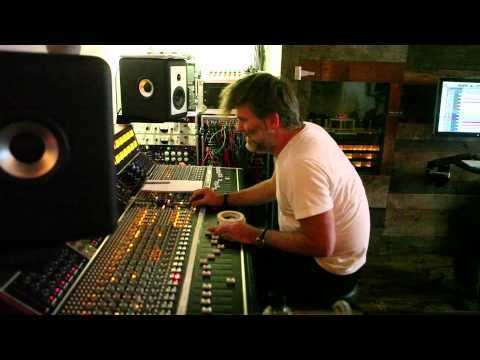 Prior to the September 23rd theater release of The Reflektor Tapes, the behind-the-scenes documentary on the making of Arcade Fire's 2013 album Reflektor, director Kahlil Joseph has unveiled a special sequence of the film featuring DFA figurehead James Murphy. Murphy famously co-produced the album with long-time Arcade Fire producer Markus Dravs, as well as members of the band itself. In the recently released scene, Murphy sits in on the band's early stages of creating the standout single 'Afterlife', showcasing the intense level of detail that goes into the band's work along with Joseph's interpersonal film style. Watch the scene above along with the official trailer for The Reflektor Tapes and check the detailed listings of the film's limited release here.